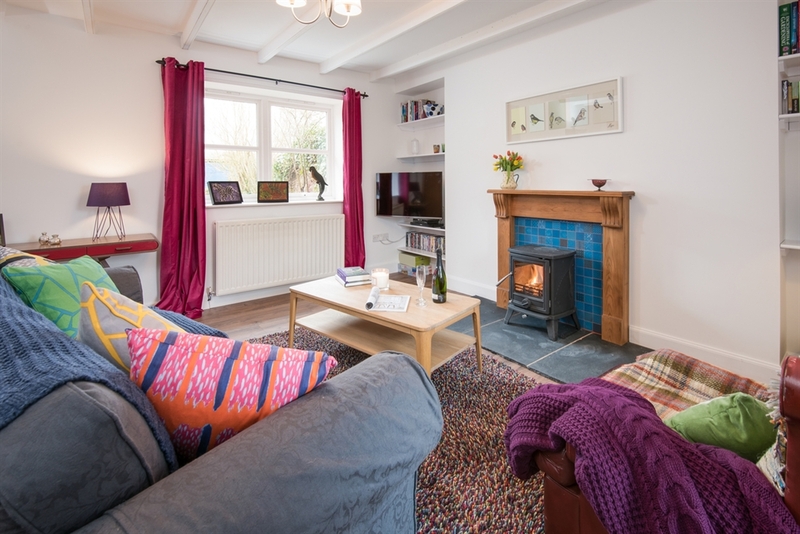 Perfect for one or two, this pretty period cottage is an ideal base for exploring the rolling Borders countryside or the stunning heritage coast. 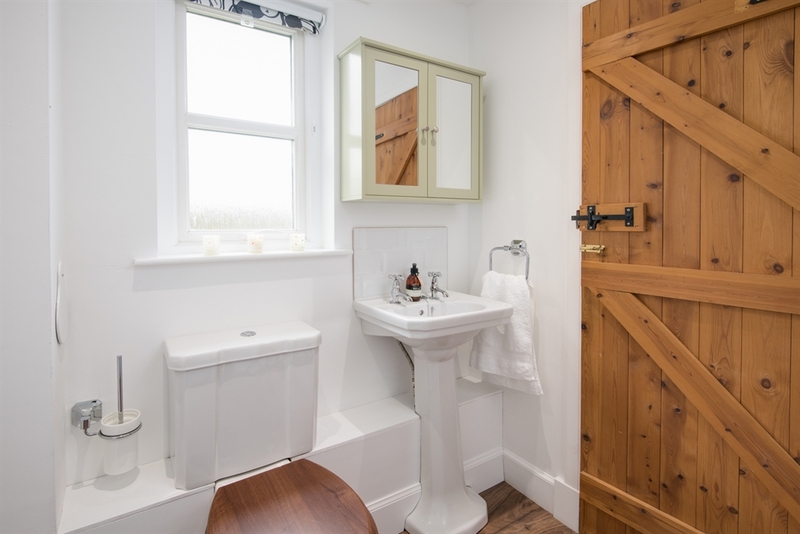 The combination of period and contemporary finishes give the cottage a fresh inviting feel enlivened with soft furnishing accents which add a lively pop of colour. 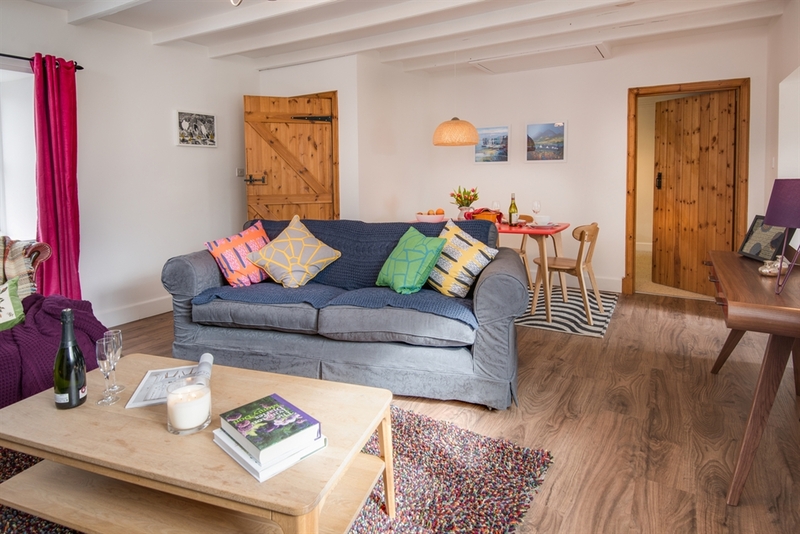 The sitting room has all the right warming touches for rest and relaxation leading to a ground floor bedroom with a roomy superking bed. 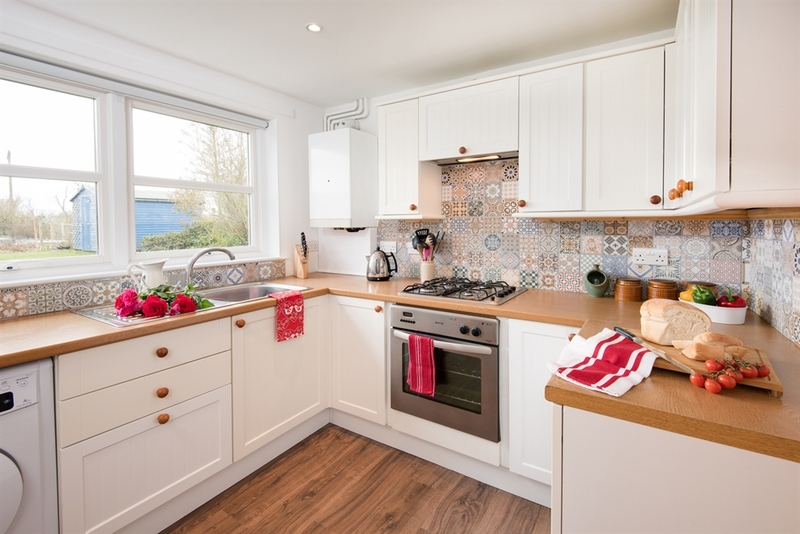 The dining area adds a touch of retro styling to the space, leading to a well equipped kitchen with lovely moresque tiling for an artisan feel. There is a small patio tucked to the rear of the property where you can enjoy a little time-out listening to the gentle sounds of nature, or a two minute wander will take you to the village pub where you savour the rich malty flavour of a craft real ale with some good home cooking and a friendly chat. Inner porch from the main access with hanging space/storage for outdoor gear. 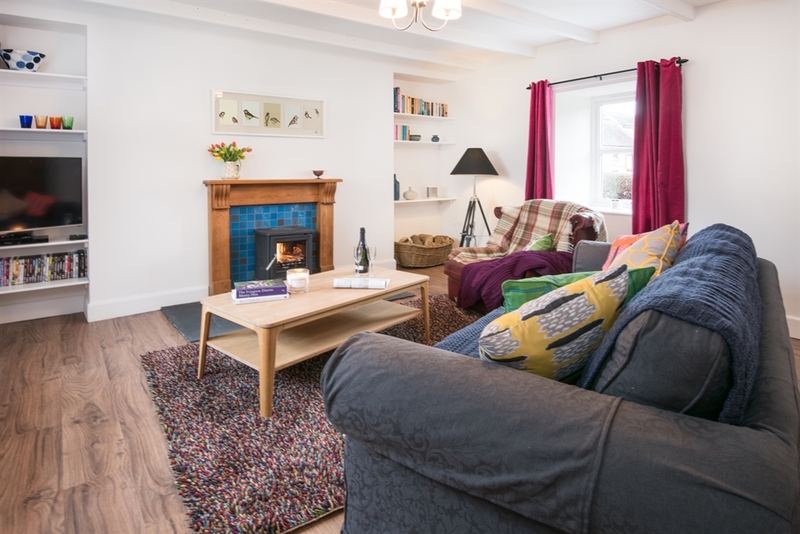 Sitting room with beamed ceiling, large double sofa, armchair, wood burning stove with initial supply of logs, TV with Freeview and DVD player, Sonos Play 1 Bluetooth sound system, selection of books, games and DVDs. 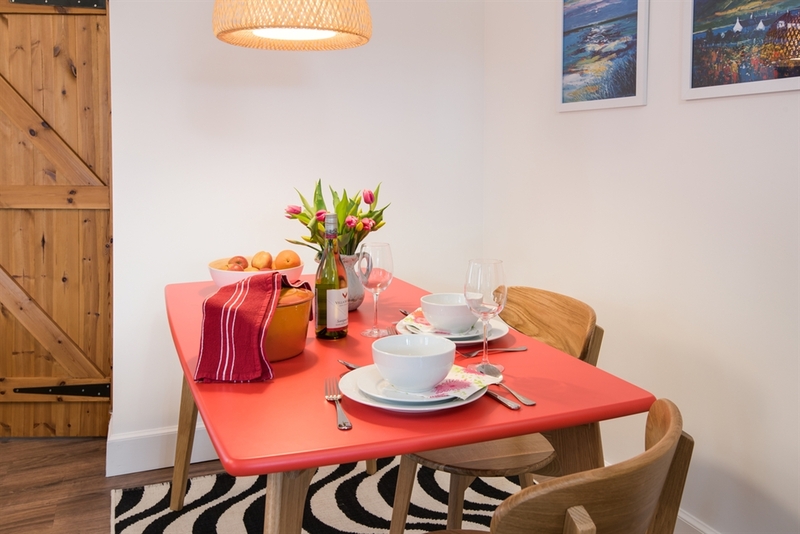 Dining area with table and seating for two. Bedroom with 6’ super king bed. Kitchen with gas hob, single oven, microwave, fridge/freezer, washing machine. Please note there is no dishwasher. 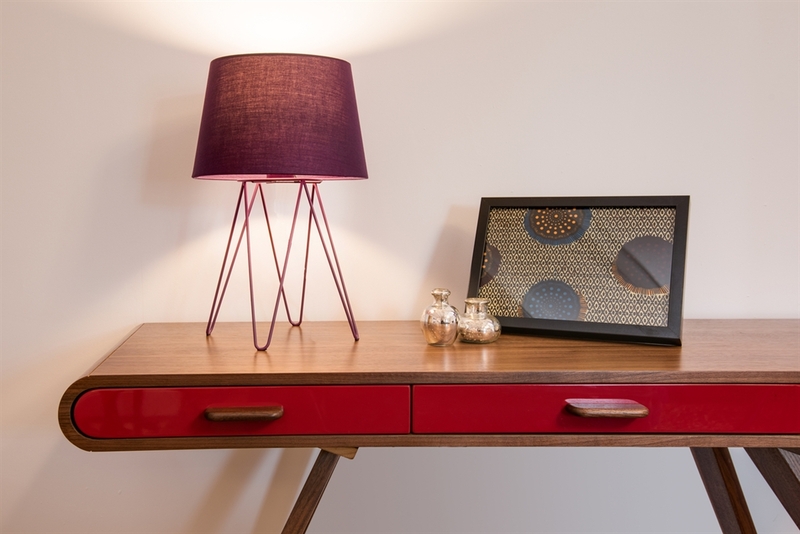 Small round table with seating for two. 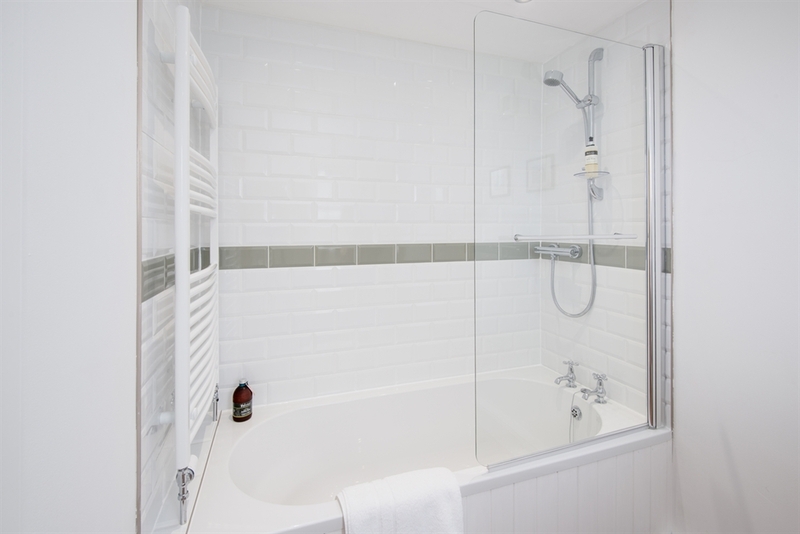 Bathroom with bath with shower over, basin, heated towel rail, WC. 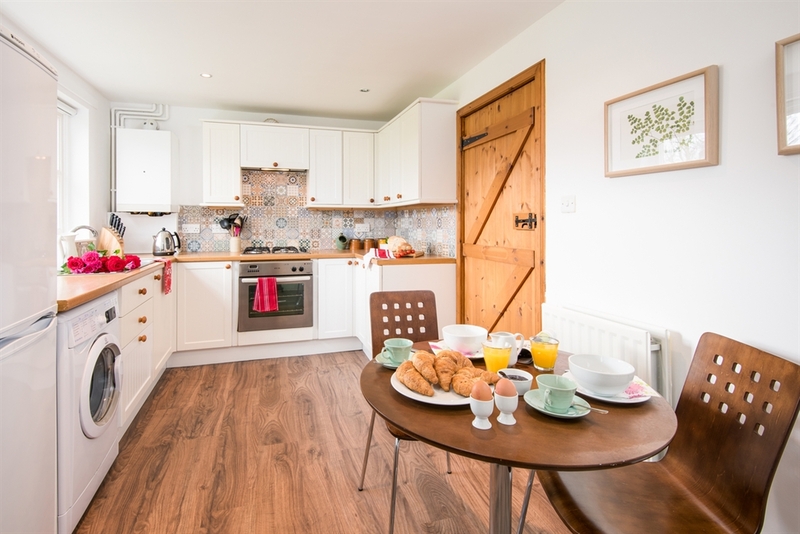 There is a small patio area to the rear of the cottage with garden furniture and charcoal barbecue. 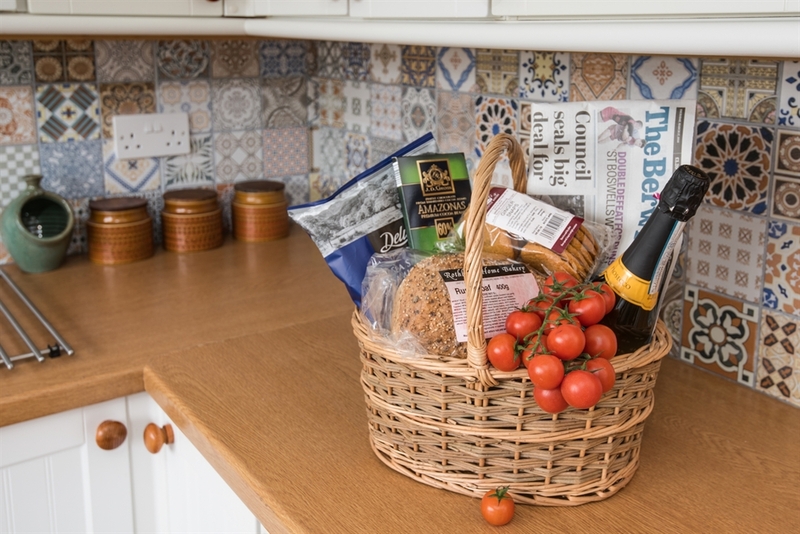 The owner property adjoins Newton Cottage and guests are welcome to help themselves to fruit and vegetables from their garden when in season. There is on-street parking outside the cottage or at the village hall nearby. Towels are provided for guests along with guest toiletries. A hairdryer is supplied. 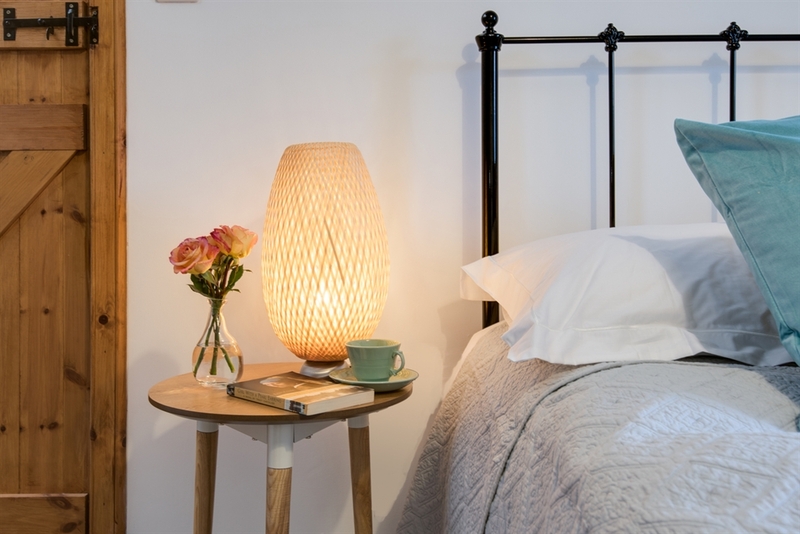 Beds are made up with duck and down duvets and pillows but a hypoallergenic option can be supplied on request. Wi-Fi is available. Mobile reception is reasonable dependent on the network. The property has mains gas heating. Wood burning stove in the sitting room with initial supply of logs. Additional logs can be supplied at a small charge. 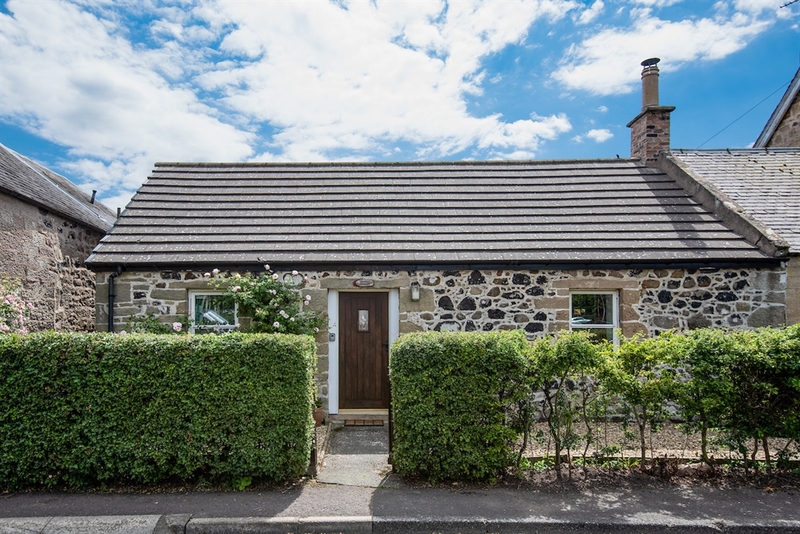 This is a semi-detached cottage which sits on the Main Street in the small village of Leitholm. The patio area is tucked in a corner to the rear of the cottage offering guest privacy but it should be noted that this overlooks the large garden of the owner property which sits next door. 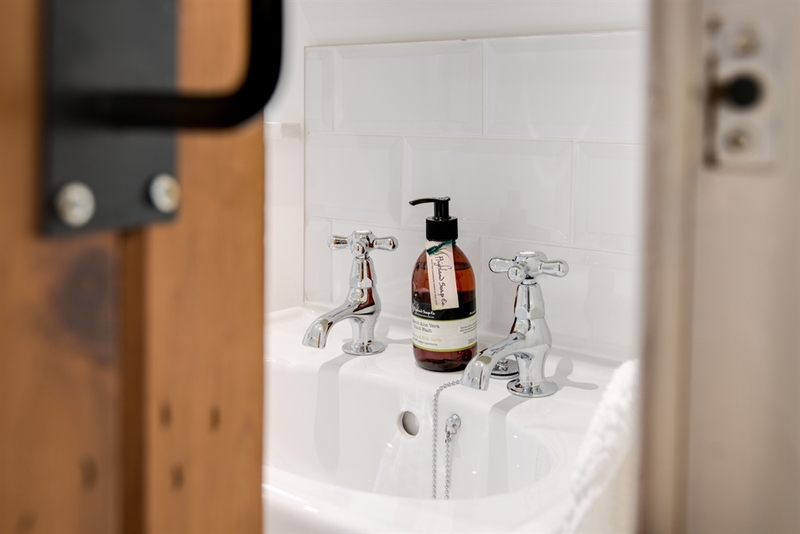 While the owners are on hand and would be pleased to assist guests with any aspect of their stay, they are absolutely respectful of guest privacy. 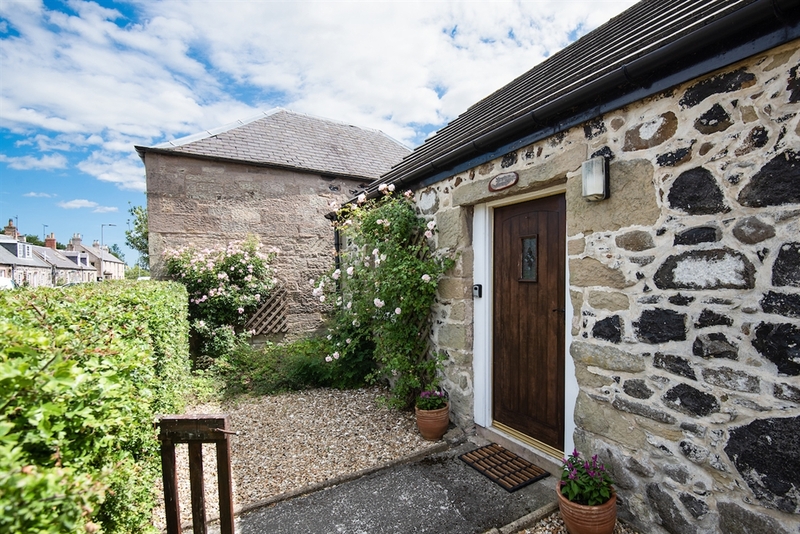 For guests looking to holiday together this cottage can be booked alongside Leitholm Cottage, sleeping 6. 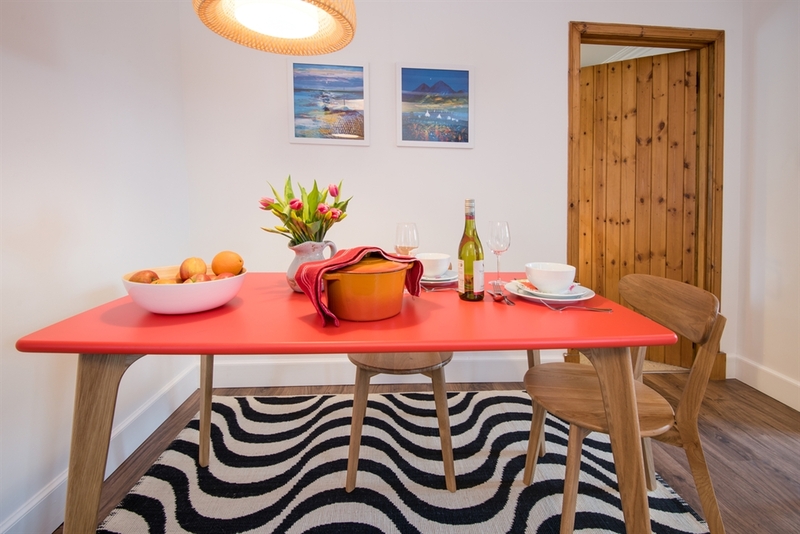 The properties are both in Leitholm village and are a very short distance apart.